Did the Deep State Try to Destroy George W. Bush with Bad Intel on WMD? It has been made abundantly clear here. You know what was really going on? We’ve got audio sound bites from my buddy Andy McCarthy on Fox today about this. You know what was really going on with Comey going out of his way to protect Hillary? He was protecting Obama! There was no way Hillary was gonna be indicted. You know why? It’s a very simple answer: Obama was sending her emails on her unsecure private server! He knew that she was using nongovernmental equipment, a private server. He used a fake name. But Obama lied to the media and the American people when he said he didn’t know about that until everybody else knew about it, when it was reported in the news. Do you remember that? Obama said he didn’t know that she was using one of these servers until he read about it in the news. That’s not true. He was emailing with her at least 22 different emails under a fake name, and he knew that her email address did not have a, you know, state.gov suffix on the end of it. He knew it wasn’t a State Department account; it was her private account, and they had to be… Given that he’s POTUS and she’s the secretary of state, they had to be talking about something classified now and then, and who knows what else. Comey and the FBI not indicting Hillary was all about protecting Obama, because if Hillary had been indicted, then everything about her communications with Obama would have been made public. He would have been shown to have lied about this. But it’s more than just protecting Obama for that reason. Obama is probably armpit deep in this whole scandal involving the DOJ and the FBI and the deep state to undermine the Trump election, the Trump transition, and the Trump presidency. I also want to make reference one more time to something I said yesterday, and it just occurred to me out of the blue sometime on Tuesday. If she was during show prep, and I’m reading about the latest developments in all of this, the deep state, the secret society, Peter Strzok, Lisa Page, these texts that have been lost and so forth. Oh, and about that. You know, the Drive-By Media is just shameless. Actually looking at a Trump tweet on this where Trump was mocking the FBI for “blaming Samsung” for the lost texts. At the time, Samsung Galaxy 5 cell phones were being used. I mean, those are antiques. And the FBI was blaming the fact that they had lost months and months of text messages on their Samsung phones, and Trump tweeted, “Blaming Samsung!” Exclamation point. And some guy at the Washington Post reacted to it by saying that Trump was blaming Samsung and how stupid. He was mocking the FBI for blaming — trying to blame — Samsung. Anyway, the point is, you remember the war with Iraq. George W. Bush spent years traveling the country drumming up support from the American people for the vacation of Iraq. He went I don’t know how many cities. He went to college campuses. That were prime time addresses. There was the sharing of intelligence. Not in great detail, but George W. Bush and members of his administration made it clear that intelligence agencies around the world agreed, had concluded that Saddam Hussein had weapons of mass destruction. Saddam himself was confirming, “Yep, I’ve got ’em,” ’cause Saddam Hussein wanted to be the big guy in the region. Saddam Hussein wanted to show the Iranians and you the Saudis and the Jordanians, the Palestinians, the Egyptians, that he was the big kahuna that the United States was afraid of. So every rumor about weapons of mass destruction, he did his best to confirm. But remember, they weren’t any. We invade Iraq. Remember, Colin Powell said the most embarrassing moment of his tenure as secretary of state was when he went to the United Nations Security Council and presented the evidence of weapons of mass destruction. And there were photos, satellite photos of so-called supposed installations of weapons of mass destruction. So we hurriedly move forward to the invasion of Iraq, and it didn’t take long to realize there weren’t any weapons of mass destruction. Now, there were people on the ground, “Well, yeah, we saw ’em! They were they were trucked over to Syria.” We heard that. But that was by people — people said that — who wanted it to be true. I mean, it was the justification for the war in Iraq. And what was the source for ontological certitude that Saddam had weapons of mass destruction? 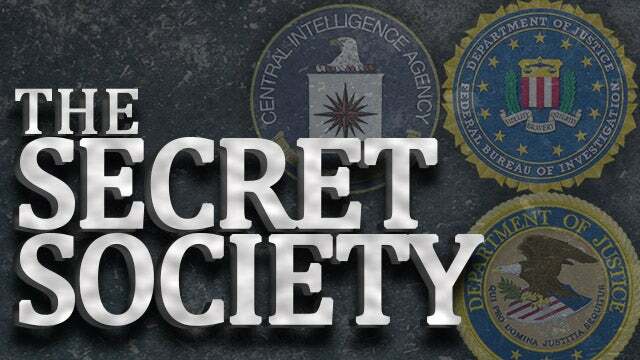 Why, it was American intelligence agencies. Bush proudly touted the work of the intel community — and not just ours, but the intelligence agencies of our allies in Pakistan, in the U.K., you name it. And then all of a sudden we get over there, we invade Iraq with Shock and Awe, and there aren’t any weapons of mass destruction. Maybe a canister of nerve gas was found here next to a gas station or whatever, but there weren’t any major stocks. So I got… Something jogged my memory about this. You remember Bush was hated, reviled. The Florida recount aftermath, the Democrats, the Drive-Bys, the Washington establishment: “Bush was a dumb, stupid cowboy! He was just a rich kid who wouldn’t have gotten anywhere if it was not for his rich dad.” You remember all the insults. And Algore was supposed to continue the traditions of the Democrat Party and Bill Clinton. And to listen to the establishment, the Supreme Court came in and prematurely halted the recount which would have shown that Algore won. 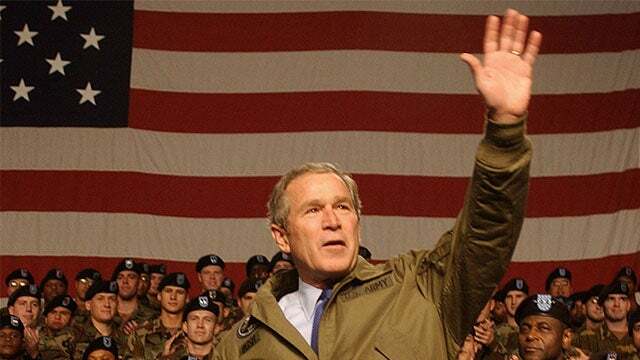 So the Democrats and the media immediately proclaimed Bush illegitimate on day one. And they treated him as an illegitimate president for all eight years. And following the invasion of Iraq and the discovery that there were no weapons of mass destruction, what then happened? An all-out assault by the Democrat Party and the media to destroy the Bush administration that ratcheted way up in the second term and the entire War on Terror effort as practically illegitimate because if there aren’t any weapons of mass destruction in Iraq, what else is Bush lying to us about? Now, we know that the deep state and the intelligence community has been feeding the media pap and BS for over a year. It’s coming up on a year and a half now. We know about the fake, phony Democrat-paid-for Trump dossier. We know that it was used… We’re more than likely relatively certain it was used to fool a judge to spy on Trump, at his office, his transition, campaign. And all of this made possible by what? Intel! That we would not object to, that we would not reject. Why, we couldn’t! These are the biggest patriots in our country. They’re charged with protecting us and informing us of the greatest threats we face, keeping us ahead of the game. But what if? What if all of that intel that assured Tony Blair, assured George W. Bush, assured our allies in Canada and Australia and all of our other coalition partners — what if it was bogus? No, I’m not leveling an official charge, ’cause I don’t know. I just… Doesn’t it seem like a pretty big miss? Remember, Bush is traveling the country for two years with the proof that Saddam has weapons of mass destruction in his hands and occasionally he’s sharing some of the intel at some of these public appearances where he’s trying to drum up public support. Now, we know that the intelligence community — we know the FBI, we know the Obama CIA director and his Director of National Intelligence — used a fraudulent opposition research document, the Trump dossier, as legitimate intel. They’re trying to destroy another Republican president. They’re trying to remove another Republican president. It just made me really curious. Remember when it happened, the day of discovery that there were no weapons of mass destruction, when we learned there weren’t any. Do you remember what your reaction was, individually? I got to thinking about my reaction, and it certainly wasn’t they lied to us. “Man, how did they get this so wrong, I thought? Holy cow! Somebody…” It never occurred to me that it would have been done on purpose, until lately. 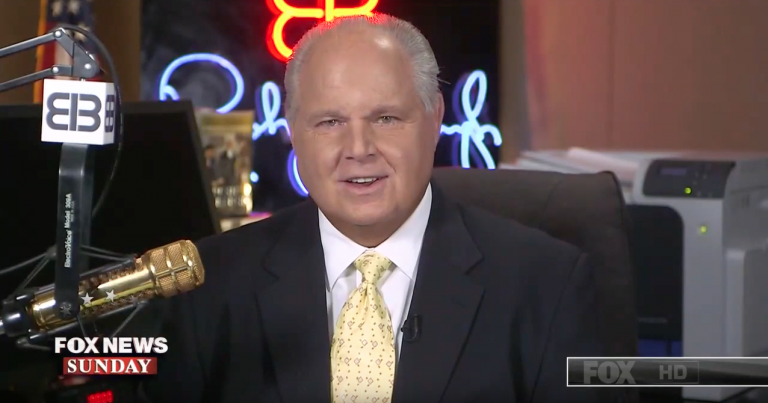 RUSH: Let me give you a couple other examples of intelligence that was wrong. We’ll just stick with that. Well, one instance where it’s wrong and one instance where there were actually some “whistleblowers” involved. Do you remember the National Intelligence Estimate? You know, James Clapper headed the Office of the Director of National Intelligence. That was created after 9/11 as to be a central clearinghouse for all the intels. The CIA, the DIA, the NSA, and whoever else out is there Hoovering up data would send it over to the DNI, Director of National Intelligence. James Clapper (named after the toilet) was the guy that did this for Obama. In 2007… This is during the Bush administration. Don’t misunderstand. I’m just identifying the DNI for Obama, ’cause he was involved with the dossier and treating it as legitimate even though it was not intel; it was opposition research. But the intelligence agencies claimed in 2007 that the Iranian mullahs had shut down their nuke program. Do you remember that? This is in the midst of the ongoing threat the Iranians trying to create nuclear weapons, invent them, deploy them. And our intelligence agencies reported to the DNI in 2007 that they had shut down the nuke program. I did this like it was yesterday. And I thought it was bogus, I thought it was wrong, I said, “This cannot possibly be.” But they were adamant, they were insistent that the mullahs had shut down their nuclear program. And what did that set up? You know, nothing in this world happens instantaneously. But if the long-term objective is to normalize relations with Iran, and if your long-term objective in normalizing relations with Iranian is predicated on a belief the United States is the problem in the Middle East, that the United States is the problem in the world. That our imperialistic, arrogant attitudes that we’re better than everybody else. That our unjustified superpower status needed to be cut down to size. And if you’re Barack Hussein Obama and you long for the day where the Middle East… See, these guys know that Israel has nukes, even though it’s never been officially stated or admitted to. Everybody knows the Israelis have nukes, and if you are anti-Israel, why, that just won’t do! If you hate the Israelis, if you hate Israel, the fact that they got nukes and are the only nation in the Middle East that does, that can’t stand. So under the guise of “stabilizing the region,” we come up with a plan to facilitate nuclear energy development by the mullahs. So everybody goes, “Whew,” and relaxes a little bit. All the while, the mullahs are ramping up a nuclear program. How wrong have these intelligence agencies been? This forecast of weapons of mass destruction? (snorts) What a huge error, an error that was committed daily for years that led to the invasion of Iraq, to get rid of things that weren’t there, that set up teeing off on and destroying the Bush presidency as dangerous, irrelevant, “We need to get rid of it,” what have you. Do you remember this? Do you remember how whistleblowers from the CIA and the Defense Intelligence Agency came forward in Obama’s second term to say that their reports were rewritten to protect Obama’s claim that he had defeated Al-Qaeda and had terrorism on the run? Those intel reports were rewritten by people at the top, colluding to help Obama get reelected. It was his first term not the last term. It was in 2012. It was near the election of 2012, running for reelection. 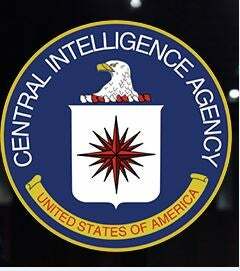 Whistleblowers from the CIA and the DIA came forward to say that their reports that they were submitting on the status of Al-Qaeda and terrorism in general were being rewritten to downplay the threat, the size, the scope, the severity. Now, what do you call that? Do we think the whistle blowers were lying? How many people even remember that? I tell you, folks, when you start adding these instances up… The intelligence community in terms of public opinion is much like law enforcement. The general consensus opinion is that law enforcement is straight and narrow, that they are uncorrupted, and that they’re literally about finding the guilty, prosecuting them and convicting them, that they’re… People just have a genuine, general trust. And it manifests itself if you see a news story where law enforcement has charged anybody with any crime. You believe the perp did it just because the benefit of the doubt law enforcement always has. I would submit that the intelligence agencies have the same aura, the same image, the same reputation. I would venture to say if you did a poll of the American people, they would tell you that they think probably the most patriotic Americans work in intelligence. Because that’s where you go to find out who our enemies really are, where they really are, and what they’re really doing and what they’re capable of. The intelligence community is charged with defending and protecting this country by finding, identifying, and facilitating efforts to defeat our enemies. But what if they have become as politicized as everything else in this country seems to have been politicized by career liberal Democrats and leftists? What if that’s the standard now, rather than the exception? Look at all of the things in our society and our politics that have been corrupted by liberalism or worse. The NFL is the latest big-name bunch that has been corrupted — and man, oh, man, are they still not getting it. They rejected an ad from a veterans group urging people to stand, a Super Bowl ad. They rejected it because they didn’t like that the ad had a hashtag, a Twitter hashtag. They thought that during the Super Bowl, that hashtag would be would be very popular; people would be using it to highlight a moment in the NFL season the NFL didn’t want to highlight. The NFL is now openly making statements about their new policies and philosophies on acquiring the interests of Millennials to their game. But those are adjuncts. Just stop and think of all of the institutions: Hollywood, music, obviously politics. Look at all of the places that you now know have been corrupted by politics. Is it strange to think that the intelligence community could be populated by such people? I’ll tell you, for me, it’s becoming more and more possible and even more and more likely. Given the importance of the intelligence community, why would the left leave it alone? Why would they not attempt to gain control of it? They want to control everything else in government. They want to control as much as they can about life in America. Why wouldn’t they want to gain control of the intelligence community? Because as Chuck You Schumer said to Donald Trump once (paraphrased), “Better be careful, Donald! Better be careful, Mr. President. When you anger those intelligence guys, they can ruin you.” Well, we are witnessing the attempt by somebody to ruin Donald Trump, or somebodies.